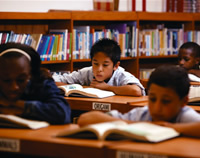 Reading requires the integration of a number of different vision skills. Because a combination of problems, rather than just one, is usually at the root of a reading difficulty, all possible causes should be explored. One that is sometimes overlooked is the child’s vision. 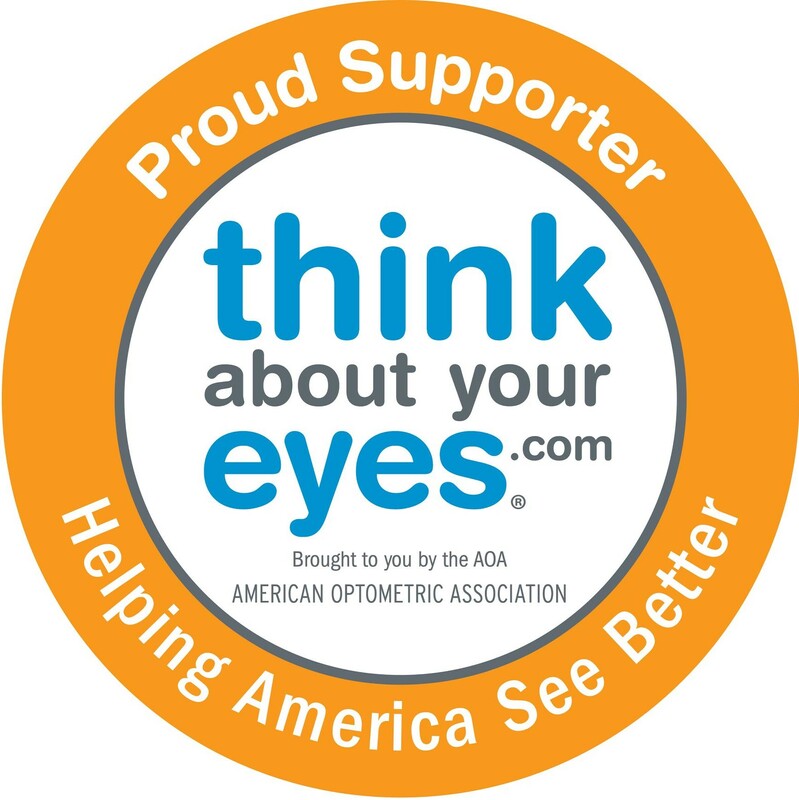 This may happen because the child appears to be able to see, does not complain about his or her eyes, has passed a school vision screening or has not had a comprehensive eye examination. Reading requires the integration of a number of different vision skills: visual acuity, visual fixation, accommodation, binocular fusion, convergence, field of vision, and form perception. Of these, only one is checked by the typical school eye chart test. Limited eye examinations may cover only one or two. And symptoms of reading related vision problems are often not noticeable to parent, teacher or child. A comprehensive optometric examination, however, does cover these vision skills. It is a must for every child who is having trouble reading. Visual acuity is the ability to see objects clearly. It is usually the only skill assessed in a school vision screening. The typical school eye chart is designed to be seen at 20 feet and measures how well or poorly the child sees at that distance. If a problem is discovered in the screening, the child should be referred for a thorough optometric examination. Fixation is the skill utilized to aim the eyes accurately. Static fixation is the ability to focus on a stationary object when reading a word or working a math problem. Saccadic fixation is the ability to move the eyes quickly and accurately across a page to read a line of print. Pursuit fixation is the ability to follow a moving object with the eyes. These complex operations require split second timing for the brain to process the information received and to track the path of the moving object. Accommodation is the ability to adjust the focus of the eyes as the distance between the individual and the object changes. Children frequently use this vision skill in the classroom as they shift their attention (and focus) between their book and the chalkboard for sustained periods of time. Being able to maintain focus at near for sustained periods of time is important for reading, writing and also taking tests. Binocular fusion refers to the brain’s ability to gather information received from each eye separately and form a single, unified image. A child’s eyes must be precisely aligned or blurred or double vision, discomfort, confusion or avoidance may result. If that occurs, the brain often subconsciously suppresses or inhibits the vision in one eye to avoid confusion. That eye may then develop poorer visual acuity (amblyopia or lazy eye). Convergence is the ability to turn the two eyes toward each other to look at a close object. School desk work is one instance in which a child depends on this vision skill. Field of vision is the wide area over which vision is possible. It is important that a child be aware of objects in the periphery (left and right sides and up and down) as well as in the center of the field of vision. Near central or Para-central vision is important for reading ability. Visual perception is the total process responsible for the reception and understanding of what is seen. Good visual perception is necessary for successful school achievement. Form perception is the ability to organize and recognize visual images as specific shapes. The shapes the child encounters are remembered, defined and recalled when development of reading skills begin. The optometrist examines these vision skills and determines how well the child is using them together. When a vision problem is diagnosed, he or she can prescribe glasses, vision therapy or both. Vision therapy has proved quite effective in treating reading-related vision problems. It involves an individualized program of training procedures designed to help a child acquire or sharpen vision skills that are necessary for reading. Because reading problems usually have multiple causes, treatment must often be multidisciplinary. Educators, psychologists, optometrists and other professionals must confer and work together to meet each child’s needs. The optometrist’s role is to help the child overcome the vision problems interfering with the ability to read. Once this is accomplished, the child is then more capable of responding to special education efforts aimed at treating the reading problem itself.